When I started to prioritise my wellbeing I didn’t go about it slowly, I practically jumped into a Vegan, Gluten Free, Sugar Free and Dairy Free diet overnight. This leap was an important one however, as it has greatly influenced the way I advise my clients today. The truth is, changing anything radically overnight isn’t the answer, and more often than not big overhauls are only short-term. My first piece of advice when it comes to nutrition, exercise and overall health and wellbeing is to think about the small steps you can make every day to drive you to the change. Slow and steady is the best way to implement and form new habits and routines, so they become something you actually enjoy and not a chore. 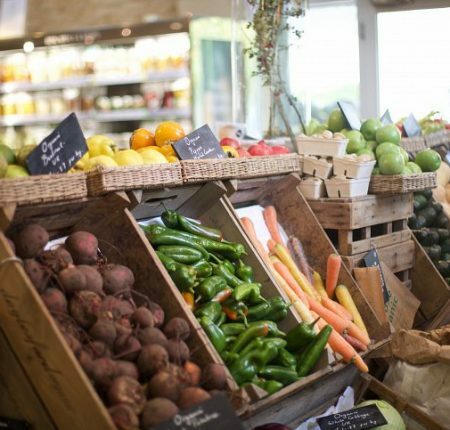 My second piece of advice in retrospect is to be open minded about what wellbeing is – we often think of it as just the two pillars; fitness and food, when in fact there are so many areas that effect the way your body feels. I was sitting around a dinner table on a recent retreat with five successful ladies in the Health & Fitness field. We were talking about the different diet trends endorsed on social media, and how when we all strip it back regardless of what we’re eating or how we’re moving if we’re stressed, unsatisfied or emotional that’s when we truly feel our worst. If we look after our mind, we all naturally feel the benefits of our wellness routines far more. When it comes to making one small step for a healthy mind – try an app! 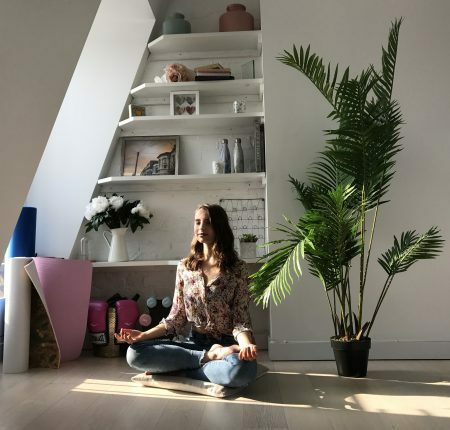 Meditation has transformed since the use of mobile apps and there are a few incredible ones that make implementing this into your life far easier. I use Headspace, and with only 5 minutes a day, I’m able to find a little time to sigh, breathe and seek clarity and focus before a busy day. It’s a tiny step, one that requires minutes not hours and absolutely no prep. However, looking after and nourishing your mind can greatly enhance all other steps you make. From a girl who creates “sugar-free” recipes, you may be surprised to hear I’ve had around 20-30 fillings and many, many dental problems. I wasn’t the biggest sweet-eater growing up, so every time I’d visit the dentist and be told I had 5 new cavities, I would be completely dumbfounded. It wasn’t until a little later on, through discussing my history using different oral care products that the dentist told me why. My mum (we call her Mrs. Organic) has always been passionate about every aspect of health. Our house held all organic bed sheets, was painted with 100% natural paint and I’m pretty sure up until the age of 13, I’d only used organic loo roll – she took the organic lifestyle to the extreme, which has always been a running joke in my family. Slightly less amusing was the effect these healthy habits had on my teeth. My mum used to buy me an all-natural fluoride free toothpaste from the local health food store, which I used for every brush until my early teens. It was the lack of fluoride that caused my week teeth along with their slightly yellow discolouring and real sensitivity. That day we drove straight on past the health store to the supermarket, buying a shelf worth of Oral-B toothpaste and the best electric toothbrush money could buy. My teeth quickly became stronger, and I realised just how little I had looked after them. The human mouth is strong and resilient, but it doesn’t stay healthy and strong on its own! Whilst I now use the best products for my teeth, I’m still aware that my lifestyle of drinking fruity smoothies and having juice (not coffee) meetings every day, poses the risk of making my enamel thinner, duller and discoloured. Like all aspects of health, it’s all about the small steps to daily care and taking the time to buy the right products. When it comes to making this one small step for a Healthy Mouth – choose the best products. I use Oral-B Gum & Enamel Repair Toothpaste which tackles two key oral problems in one tube, rejuvenating gums and repairing enamel and the Oral-B GENIUS 9000 in Orchid Purple. As a complimentary lifestyle change, I now drink every juice and smoothie through a straw… even if that means bringing my own. Growing up with severe eczema, by the time I’d reached my teens I had lost hope it would ever go. It was all over my arms and neck and as a dancer, wearing a leotard, in front of a mirror for hours on end, was hard to hide from. I found a solution in my teens, by removing dairy and most sugars from my diet. However, my skin didn’t become clear overnight as the beauty products I was using at the time weren’t entirely natural and caused flare ups. 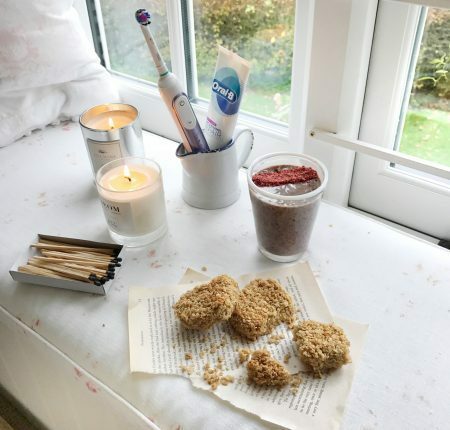 Despite it being clear now, simplifying my skincare routine straight away should have been the action I took – but I was ‘busy’ and my skin health wasn’t of the upmost importance to me. Saying this, the effect having flare ups took on my wellbeing were significant – it knocked my confidence and made me incredibly insecure. This would snowball into me respecting my body and health less, which goes back to the first step of prioritising a healthy, happy mind. It’s truly all interlinked. 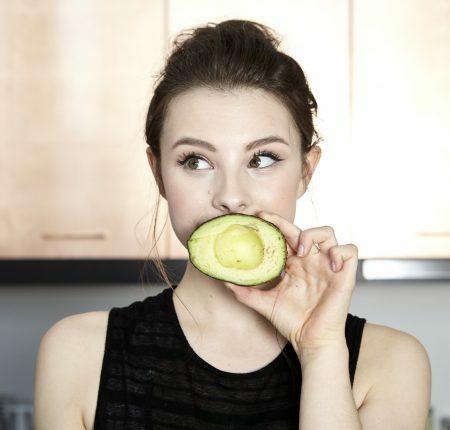 When it comes to making one small step for skincare – look at the beauty products you use and think about it like food. If you’re respecting your body with the most beautiful whole food ingredients, why wouldn’t you do the same for your skin? I’m a big fan of Balance Me and Pai Skincare. It often feels like your diet is the entirety of what makes you feel good, which hopefully as the points above have shown, it’s not, however it is absolutely a significant part. As I mentioned, when tackling my diet and trying to make some positive changes for a greater sense of wellbeing, I went cold-turkey on a lot of foods. I removed all Wheat, Gluten, Dairy, Refined Sugars and Meats from my diet. To take you into my present day diet, I’m plant based and dairy free enjoying fish and eggs when I feel like them. I don’t eat sugars regularly and nor do I eat wheat or gluten daily… but I do still eat them! I’ve found a way of listening intuitively to my body and combining the way I know best to fuel my body for fitness with what I know my body craves. It was a backwards journey, but listening to my body will always be the first thing I do before making a change. When it comes to making that first step, start small. Look at the meals you love to eat on a daily basis and make a small switch; Brown rice instead of white, Oats instead of Granola, Rye bread instead of white etc. This can later extend to the snacks you chose, making a healthier choice on the go. Start with the little things, and slowly but surely you’ll make a big difference. Our bodies were designed to move, to be tested and to gain strength – they certainly aren’t there to be on the couch or desk chair all day! The incredible thing about movement beyond the physical changes is how empowered it can make you feel, pushing through barriers and testing your body. Despite exercise always being a big part of my life, I’ve gone through phases of rebelling against the daily grind – even a fitness professional has to self-motivate from time to time. My biggest tip is to remind yourself why your working out, to have solid goals based on performance that you’re aspiring to reach. Tracking progress is incredibly important for motivating yourself, whatever your goal is it must be measurable, e.g: a particular weight you’d like to lift, a speed you’d like to run 5k in or a move you’d like to be strong enough to do. Take a weekly note to monitor where you are in the process, re-motivating you to keep on going. Alongside this motivation my drive stems from reminding myself of all the reasons I should move. Starting with how it makes me feel, with the knowledge I’ve never ended a workout session regretting I started. When it comes to making that first step, start by finding what exercise lights you up. There is so much out there, and there is bound to be one that albite tough you also enjoy. Book three classes into your diary and stick to them, just as you would an important meeting. Make it a habit, and movement will soon be your non-negotiable. 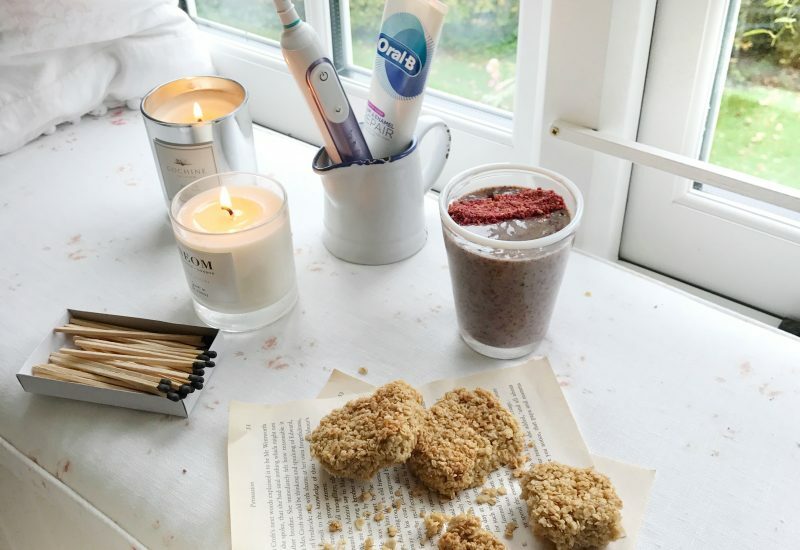 This post was written in collaboration with Oral B.